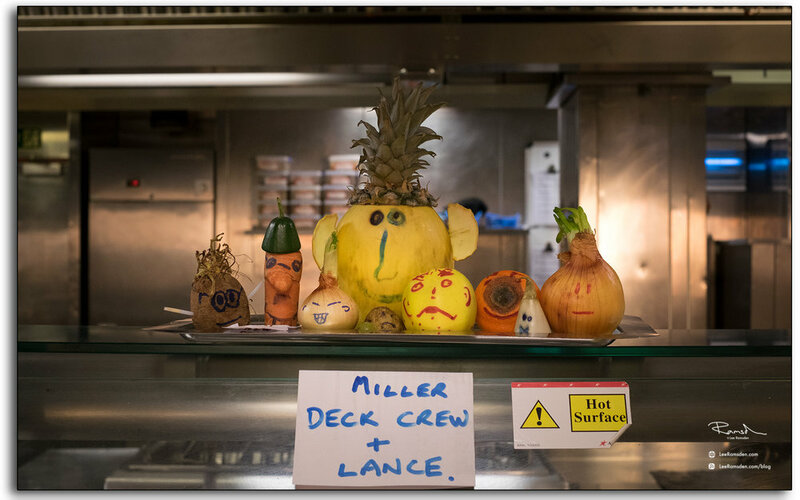 Offshore, oil and gas rig catering crew. Today we meet, the small team involved in feeding and looking after all 80 workers, on a North Sea oil and gas platform. These guys do a fantastic job, with such a small team in cleaning, preparing meals and trying to keep moral high for a large crew of guys. Who are working hard in all weathers, away from home for long periods, missing their families. It is un-measurable their involvement, but any rig worker will tell you, that a clean accommodation and a good hearty meal, makes for a happy crew. Roast beef, and Yorkshire puddings... must be Sunday!